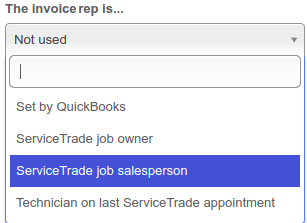 ServiceTrade's Sage Intacct and QuickBooks Desktop integrations now support job salesperson. 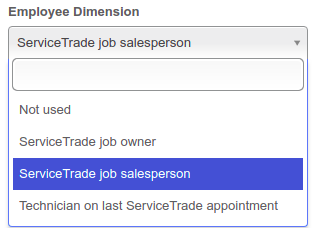 Please see the Sage Intacct sync settings documentation for more details about using the Employee dimension in Sage Intacct. 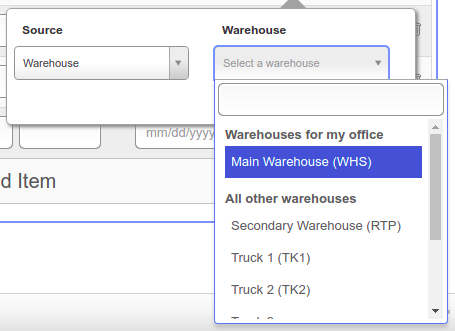 Please see the QuickBooks sync settings documentation for more details about using the Rep field in QuickBooks. 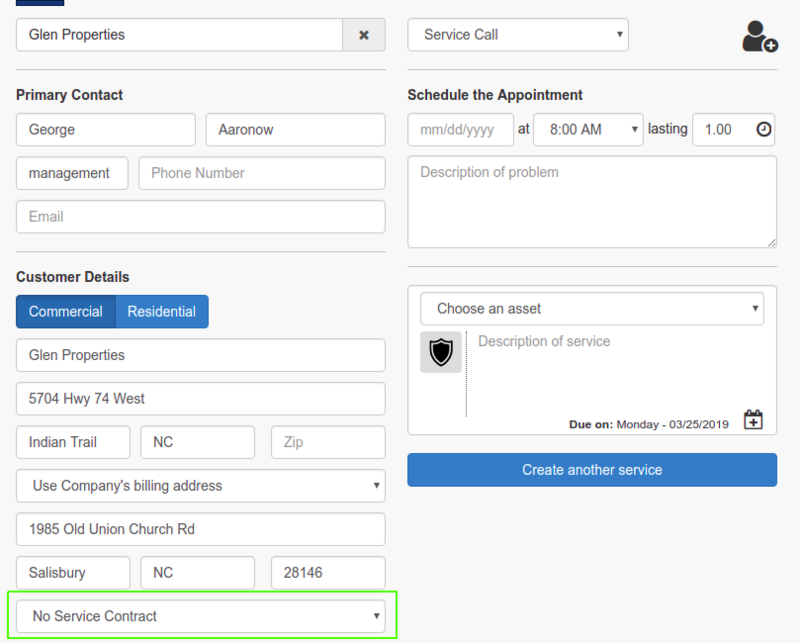 You can now easily add a service contract for an individual location, either when initially creating the location or anytime afterwards. 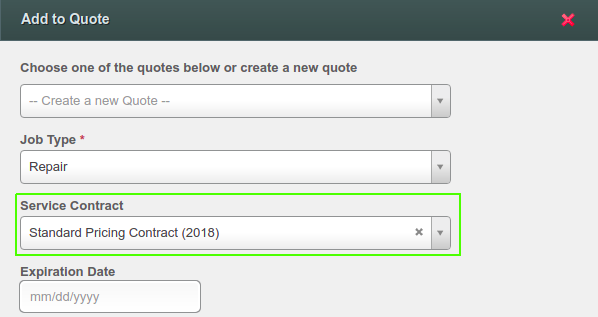 When you save the newly created location, the contract will be created as well. 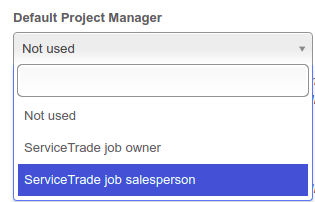 The job item source feature now recommends the sources that are most likely to be correct for your use. 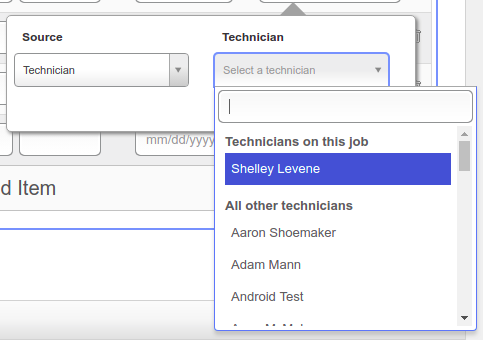 For priority and due date sorts, the job creation date is used as a second-level sort (jobs created earlier will be closer to the top). 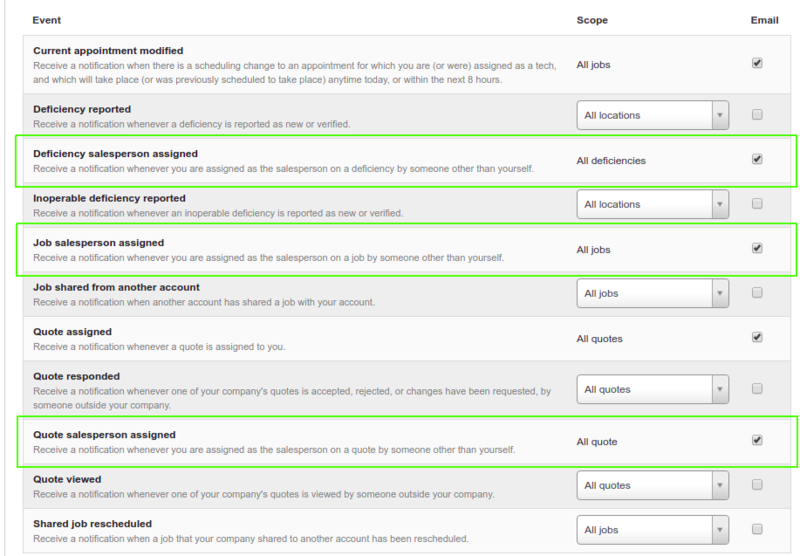 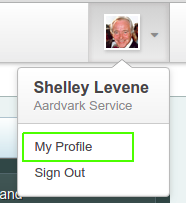 To adjust the job types that are enabled in your account, click on your user avatar in the upper-right corner of the screen and choose 'Account Settings', then select your desired job types in the 'Job Types' section.